These programs are made up of a combination of nutrition counseling, physical activity counseling, and behavioral therapy tailored to your unique metabolism and genetics. If you’re wondering “how do I begin a medically supervised weight loss program?”, this post will answer that question and also touch on the what else is involved in participating in a medically supervised weight loss program. In order to begin this type of program you would first have to contact a physician who specializes in weight loss treatment and schedule an initial consultation. During the initial consultation there will be a medical evaluation to check for any diseases, medication and metabolic issues related to weight gain or any factors that could be the cause of weight gain. You will also be asked to discuss your weight history with the physician, including any past diet attempts. The reason behind such a thorough evaluation is that its often found that the patient has undiagnosed diabetes, insulin resistance, thyroid disorders, metabolic syndrome, inflammation, food sensitivities or obstructive sleep apnea. It’s important to have those factors identified before continuing with the medically supervised weight loss program. 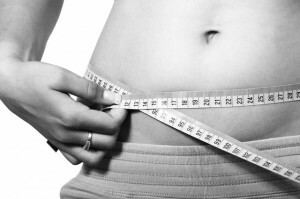 What’s involved in a medically supervised weight loss program is unique to each individual patient and is dependent upon the results of the initial consultation. Behavior Modification: Adjusting your diet and levels of daily physical activity. Pre-packaged Meal Replacement Plans: A phase of meal replacements may be needed to kick-start the initial weight loss. We use only real food that is organic with free range poultry and wild caught fish in BPA free packaging. Supplements: Some metabolic or hormonal disorders can be modulated with supplements tailored to your unique needs. Pharmacotherapy: The use of medication for weight loss purposes which may include natural, bioidentical hormones. I must add a note here about weight loss medications (pharmacotherapy), they may only be prescribed as an addition to, not instead of, an existing diet and exercise program. However, if your existing program of a calorie-controlled diet and regular exercise is not leading to acceptable weight loss then pharmacotherapy may be offered. Once your individual medically supervised weight loss program has been created for you, you will then have to return for follow up visits. How often these follow up visits occur is determined on a case by case basis, but I’ll give you an estimate of what you can expect. Typically you will be asked to return for follow up visits every 1 to 4 weeks until the initial weight loss goal has been achieved. From there, follow up visits will become less frequent. In order to ensure that you remain successful on your medically supervised weight loss program, continual follow up visits are recommended. Remember that weight loss is best achieved by following a program created by medical professionals who specialize in weight loss. If you have any questions, please leave a comment below. If you wish to book an initial consultation, please get in touch with me directly through the contact form.